A TOTAL of 39 cocaine bricks with an estimated value of P215 million were recovered by authorities at the shoreline of Purok Talisay, Barangay Santiago, Caraga, Davao Oriental on Sunday. Police Chief Superintendent Marcelo Morales, Police Regional Office-Davao director, during Monday’s press conference at Davao City Police Office (DCPO), said that they are coordinating with other law enforcement agencies including the Philippine Coast Guard, Philippine Navy and the Philippine National Police (PNP) Maritime group to scour the coastal areas of possible more bricks of cocaine. Morales ordered the chief of police of Caraga Municipality to organize and coordinate with the local government unit (LGU) to deploy their Bantay Dagat to look for more cocaine and put up round the clock checkpoints to prevent the culprit from escaping. On February 24, four bundles of suspected bricks of cocaine, which were sealed properly and labeled with “BOX” on top, were recovered by personnel of Caraga Municipality Police Station after it was found at the shoreline of Purok Talisay around 1:30 p.m. 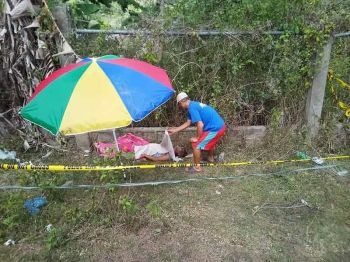 They initially received a phone call from Barangay Kagawad Emelio Bantayan of Barangay Santiago informing that there were alleged blocks/bundles of cocaine found by residents in the shoreline. Three of the four floating cocaine packages contained 10 bricks while the other bundle, which was already opened, contained only six bricks with a total of 36 bricks of suspected cocaine. On Monday, the Philippine Drug Enforcement Agency (PDEA)-Davao recovered three more bricks in the area. Each brick weighs a kilo with estimated value of P5 million. The substance was confirmed to be cocaine during a laboratory test. The cocaine was discovered at about 11 a.m. of February 24 by an unknown resident who was swimming along the shoreline. With the incident, Morales ordered all the city and municipal police stations along the coastal areas to check or verify for possibility of other packs or bricks carried by the current ashore. “We are investigating this incident if this is connected to the recovery of other bricks of cocaine found earlier this week in the different parts of the country. We will continue to monitor this as we will not allow that our beautiful coastal areas will be used by these drug syndicates to penetrate our region with their illegal transactions,” he said. Authorities are not discounting the possibility that the cocaine might have come from South American countries like Colombia and Mexico since the market here in the country is methamphetamine hydrochloride known as shabu and only few are using cocaine. “But with this kind of volume na na-recover natin could be an indicator na may mga pumapasok dito na illegal drug groups coming from South American countries possibly from Mexico and ‘yong Colombia. 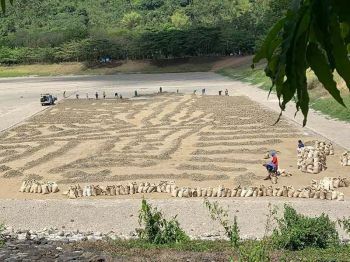 Baka ito ang part ng kanilang delivery for whatever reason bakit nila dina-dump dahil ito ay napakalaking halaga para lang itapon sa gitna ng dagat,” the region’s top police official added. The type of cocaine found in Caraga town is similar to those recovered in the coastal waters of Surigao. Morales said that they are determining the possible sea vessels that dropped the illegal drugs into the sea.